Ranking the BBL teams is my own personal Bird Box Challenge. This competition is so unpredictable, so random, and if one were to be unkind, so average, that this column is already a bit of a lost cause. But we rank, because we can, and because we must. The biggest factor influencing the competition this week is likely to be the swift changeover from Test match to limited overs cricket. After the Sydney Test is complete today, Australia and India face off in three One Day Internationals (on January 12, 15 and 18). Last week’s squad announcement has been picked apart already, but what I haven’t seen is how it will impact on the BBL. We were told in the winter the international calendar wouldn’t really impact upon the BBL in the 2018-19 summer. But here we are. 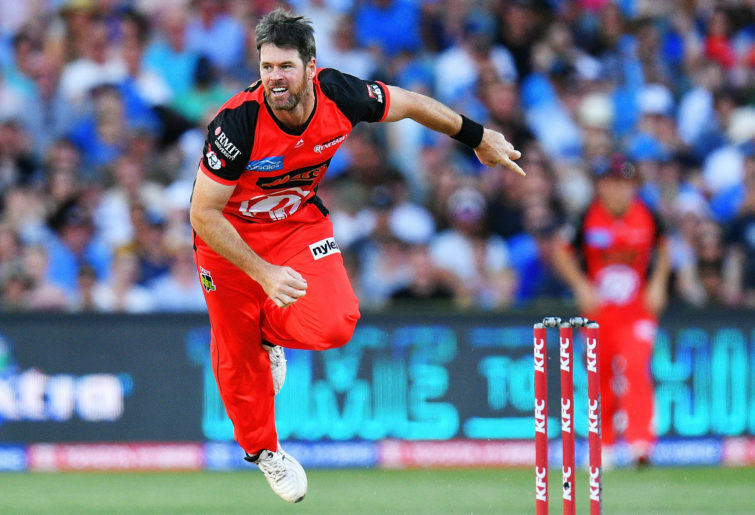 The Perth Scorchers, Adelaide Strikers and Melbourne Stars are set to be decimated, with three (Perth and Adelaide) or four (Melbourne Stars) of each of their most recent BBL team participants to be pulled out for one assumes the next fortnight. For the Scorchers, the absence of Jhye Richardson and Jason Behrendorff will be the hammer blow to a season spent sprawled on the canvas (not regaining Shaun Marsh, and losing Mitch Marsh, are important too). Perth were already up against it after slumping to 1-5 through six games; a bad position, but not completely unrecoverable with eight games remaining. But without two of their three strike bowlers, and with the side’s unfathomably bad batting continuing into the competition’s third week, Perth looks finished. Adelaide may well cobble together a decent enough attack out of the bottom of its roster, but the loss of Peter Siddle (the most economical fast bowler in the competition to date) and Billy Stanlake will hurt. Alex Carey has threatened to rip this competition apart each time he’s gone out to bat, though he’ll at least be replaced by Travis Head. The Melbourne Stars might suffer most of all. They will lose Glenn Maxwell and Marcus Stoinis, and will fail to regain the top four batting of Peter Handscomb after he was recalled to the short-form set-up. Adam Zampa, who has posted an economy rate of 6.55 through five games, will also be absent, though Michael Beer might be able to shave half a run off that if he gets a go. It isn’t yet clear when these players will be called to camp ahead of the first ODI this Saturday. Aaron Finch has been named for the Renegades game today, so it isn’t an immediate thing, but one would assume by mid-week Perth, Adelaide and Melbourne will be fielding much weaker teams than otherwise. Setting aside the implications for these teams, the competition at large can scarcely-afford such a hit to almost half of the teams in it. And with Pat Cummins, Josh Hazlewood and Mitchell Starc all “ordered to rest” (Cricket Australia’s words, not mine), an already thin talent pool is being drained materially. Alas. Here are this week’s rankings. There’s been a couple of big shifts. They’re still undefeated, despite the best efforts of the Sydney Sixers, and so they must sit atop the power rankings. 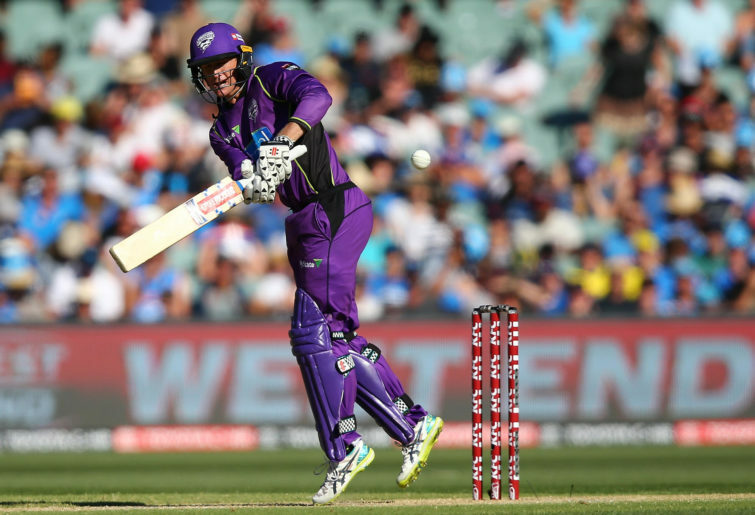 The Hurricanes conceded another big total in their lone hitout for the week, but reeled it in on the second last ball on account of another six-hitting cameo= from George Bailey. Another light week on the track for the Cane Train, before their season ramps up in weeks five, six and seven. Hobart should have the Melbourne Renegades’ measure this evening, but ‘should’ means nothing in this wretched tournament. A busy but productive week for the Strikers, who knocked off the Sydney Thunder at home and Melbourne Renegades away to jar open up what I thought was already a decent gap between them and the rest of the competition from third. 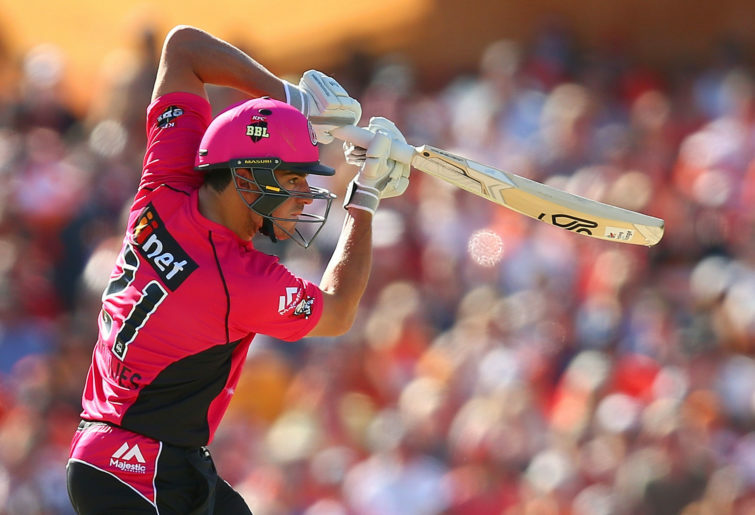 But a comprehensive loss to the Sydney Sixers yesterday complicates that theory just a touch. The loss of two of their three best fast bowlers will up the Strikers’ reliance on Rashid Khan, who went at a season-high 6.25 runs per over around the rest of Adelaide’s attack. That’s meant to be a compliment. Travis Head’s return will help settle a batting line-up that has proven a bit shaky to date, and his ambidextrous right arm darts will be a valuable addition in the absence of Siddle. I remain utterly unconvinced this team has anything beyond what it is currently showing. But you know what? In a competition that has so many up and down performances, being able to reliably knock 150 with the bat and concede around that mark with the ball might be enough to earn a finals spot. I should’ve had the Sydney Sixers a shade higher last week on account of their performances in the tournament to date, even if there was an element of luck. Now they’ve beaten the Melbourne Renegades, Brisbane Heat and Adelaide Strikers in the same week – all away from home – this feels right. Right enough. The Sixers are a clear second on the table with four wins, though have a game over the rest of the competition (and two on Hobart and the Melbourne Stars). They’ll emerge from the ODI sojourn with no losses, although they would’ve perhaps expected Nathan Lyon to become available for a week or so. The Thunder continue to bounce around the middle of the table, dropping one place on account of their relative unreliability compared to the Sixers. They too had three games this week, mustering a win at home against the Perth Scorchers and losing to the Melbourne Stars and Adelaide Strikers. In both of their losses, it was a lack of scoring punch that cost Sydney, batting their innings but falling 20 runs short against the Strikers and setting a modest 135 against the Stars. Having Joe Root continuously noodle his way to sub-100 strike rate teen scores in the middle order can’t be helping. It’s back to where they began for the Stars, who sit third on the table with three victories (from five games) though they’re yet to really win any of them convincingly enough to justify a nudge into the finals spots. They may very well be a better side than the Sydney Thunder, but we may never get to find out given the extent to which they’re about to be gutted by the ODIs. Melbourne play the Scorchers (home) and Strikers (away) this week, both of which represent a test in their own way. They’ll catch them at their weakest too. Dual failures with the bat condemn the ‘Gades to a slide down the rankings, though there’s every chance with three games to come this week and the prospective return of Aaron Finch (for tonight) and Marcus Harris (thereafter) that Melbourne’s ability to post decent totals gets a bit of a fillip. The Renegades’ attack hasn’t really been afforded an opportunity to show us what it’s made of yet. Melbourne play the Brisbane Heat twice this week, once at the Gabba and the return leg at Geelong on Sunday. While the Heat won their first game of the year, this still represents a quality opportunity for the ‘Gades to add a couple of Ws to its win tally. This is the part where everyone says they have to be last because they lost to the team that’s coming last. That’s not how these rankings work, remember? It’s forward-looking. Still, Perth’s abject failure with the bat in hand has ruined their season, and there’s no doubt it will take some sort of miracle for them to recover from a 1-5 start. The Scorchers are about to lose two of their vaunted pace attack too, although there is a little bit of depth on the roster to cover. 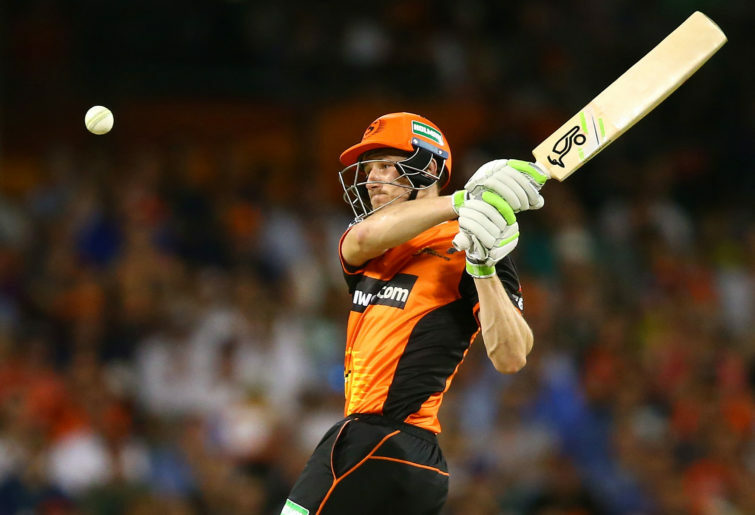 A weakened Stars outfit on Wednesday evening might be just the chance the Perth Scorchers need to kick-start their season. Equally, it could be the end of their campaign. Hear me out. If it wasn’t for Ben Cutting failing to clean out his long stops (and tweaking his back after slipping on the low cut Perth Stadium turf half a dozen times), the Heat would still be staring at a goose egg. Jhye Richardson’s 18th over wasn’t poorly bowled by any stretch, Cutting just decided it was time to do the thing that made him famous as a number six in T20 for the first time in a while. Outside of that, and a ridiculous 2-10 from four overs by Mujeeb Ur Rahman in the first innings, Brisbane weren’t convincing in either phase of the game. We’re going on exposed form here rather than overreacting to one game, and the Heat are no good unless they get some sort of Herculean performance out of one player.